I was interviewed recently for the Lawyerist podcast about how law and design intersect, and why it’s important for lawyers to learn design principles. Take a listen! I was thrilled to be interviewed for the Love or Leave the Law podcast recently. One of the hosts, Casey Berman, was the coach I worked with when I was planning my own career transition. This was my first time doing a video podcast, and it was a lot of fun. Below are the videos of the two-part interview. Or you can listen to the audio-only version on iTunes. 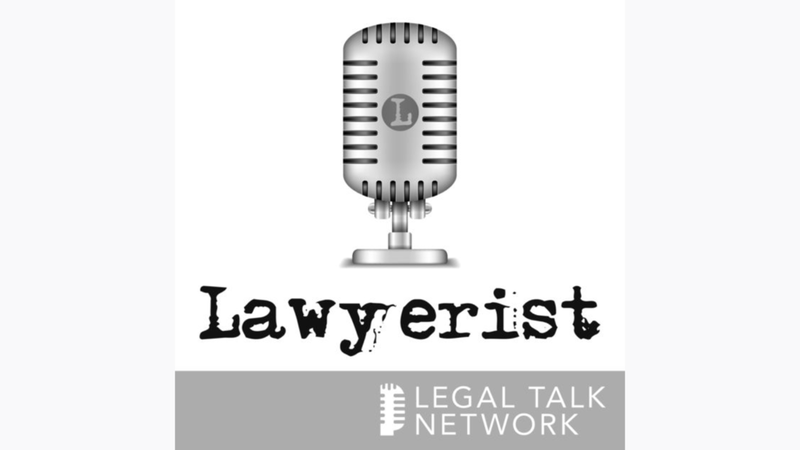 Evolve Law interviewed me recently for their Legal Luminaries podcast series. In the episode, I discuss the intersection of legal tech and legal design with Evolve Law co-founder Jules Miller. You can listen to the full podcast online. I was interviewed recently by Bentley Tolk for his podcast Legal Marketing Launch. We talked about how I transitioned from law practice to legal design, and what marketing lessons from the firm carried over into my consulting business. I talk a lot about how I use Twitter and other social media, but I also manage to tie in yoga and F. Scott Fitzgerald somehow! You can also download the half-hour episode through iTunes and Stitcher. Earlier this week I was interviewed by Jeena Cho for her podcast, the Resilient Lawyer. We talked about how lawyers and law firms can use design thinking to improve the profession. We also discussed the process of making a career transition, and the role motherhood played in my own professional journey.